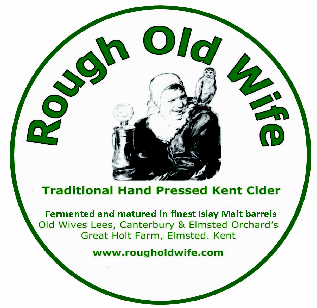 We welcome all comments about us and our cider and invite you to post your comments to us for inclusion here. We have also included a list of friends of ours who produce great complimentary products or services and we are happy to recommend to you. "Dry and clear with a rich apple bouquet and a hint of aged Scottish whisky and oak barrels"
"How many can you handle?!" Copyright . 2006-2014 Rough Old Wife LLP. All rights reserved Thanks for visiting now please buy some! Rough Old Wife at Le Mans 24!